We are excited to announce Justin Long has joined the Cunningham Recreation team and will be representing us in Kansas and Oklahoma. Justin is joining our team to help us address the growing market and enormous opportunity in both states. He will partner with Rodney Born who will still cover Johnson County, KS to continue to provide elite customer service to our partners. Justin has ten years of business to business and business to customer sales experience. Justin is looking forward to working with our existing customers as well as building new relationships with schools, municipalities and churches to create play and fitness spaces that improve communities and bring people together. 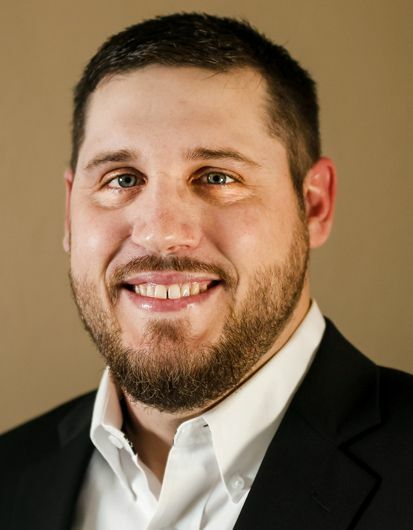 With a Health and Human Performance education from Bellevue University, Justin brings an added benefit of health and wellness knowledge to his customers. Justin is excited to see the smiling faces of both children and adults enjoying the recreation spaces he brings to Kansas and Oklahoma. Justin lives in rural Wichita, Kansas with his wife and daughter. After college, he spent time playing professional baseball in the Philadelphia Phillies organization. Since returning home, Justin enjoys the simple country life---hunting, fishing, golf and playing coed softball. He also spends some of his free time training his hunting buddy, Deke, the duck dog. We hope you too will welcome Justin as we are confident that he will serve our customers and represent Cunningham Recreation well.